There are numerous benefits of the in home care services that Hired Hands Homecare provides. Generally, in-home care leads to a higher satisfaction with life, even when frailty is a factor. Home care, done correctly, allows dignity, independence and maximum comfort for the care recipient. Home care supports and keeps families together. Families tend to stay more involved with the care and maintain closeness with their loved one. 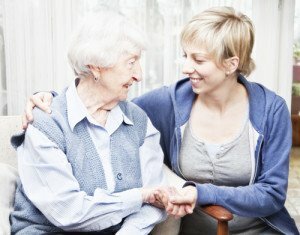 Home care (mainly that paid for by private and not government funds) can offer personalized care tailored to the needs of the family and the individual on any given day, whether that need is as simple as company and conversation or more complex, as in needs with personal care. Home care is usually cheaper than costs for a nursing home or even assisted living. A good rule is that 8 hours a day or less of home care will be less expensive than moving elsewhere. A home caregiver produces healthy and nutritional meals that appeal to the individual and can also keep a close eye on the amount of food eaten. One can never underestimate the benefit of the familiarity of home, whether that be just enjoying a favorite chair or enjoying the daily cup of tea in a familiar corner. Home care offers accompaniment on transportation to and from various appointments, social activities or errands, allowing families more free time together as well as additional peace of mind. In recent years, home care providers have developed successful models in care coordination, prescription management, disease management and behavioral education. They have pioneered innovative and cost‑effective uses of technology and therapeutics to deliver high quality, client-centered, well-coordinated care across the health care delivery system, helping millions of Americans live safely and independently at home. Contact Hired Hands Homecare at (866) 940-4343 to learn if our in-home care services is the right solution for your situation.